Hi, Everyone! 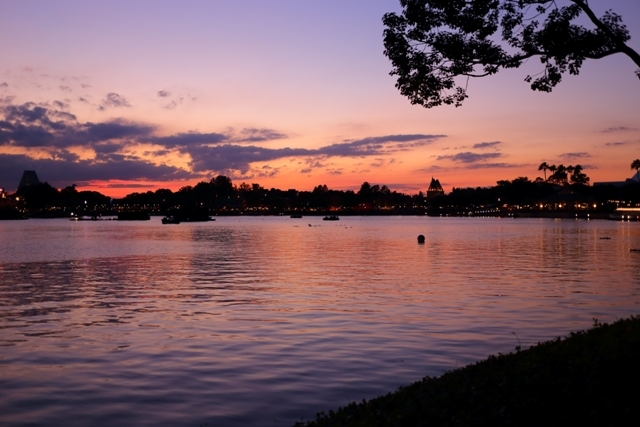 Welcome to the Best Week Ever here at Walt Disney World! 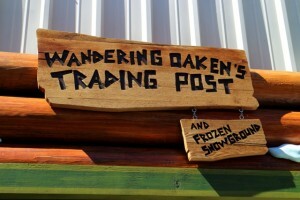 This week we’re visiting Disney’s Hollywood Studios to check out the new location for Wandering Oaken’s Trading Post and take a look at how Christmas is coming along. Then we’re heading over for a quick visit to the Magic Kingdom and ending at Epcot for Food & Wine Festival updates. We also might run into a lumberjack or two! 😉 So let’s get started! 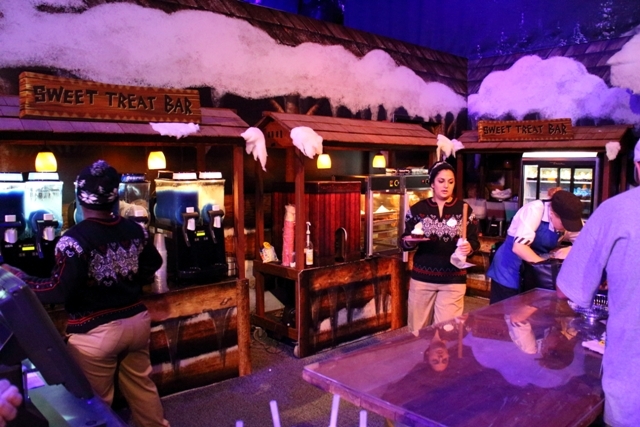 I’ll admit that when I saw the Studio Backlot Tour was closing and a Frozen gift shop was moving into this area, I had my doubts. But I’ll eat crow because it looks great! It’s obvious a lot of planning went into this move and I can only hope this much effort goes into the other changes coming to the studios. Want to check it out? Click to read more! Okay, I know it’s only a gift shop but it’s a bigger space with even more than before. 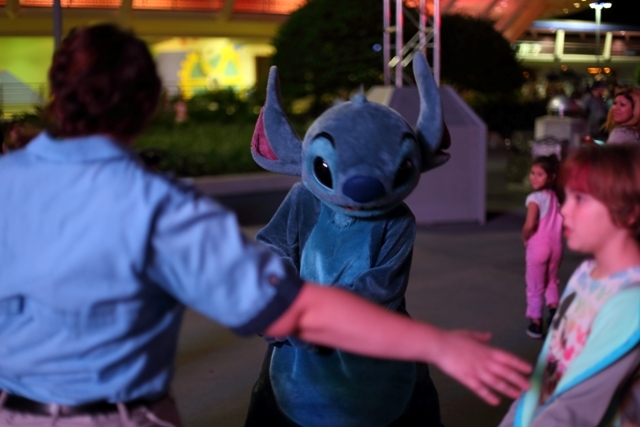 Disney is making it easier for parents and kids alike to get to the things the want and I’m a fan! Unlike the previous location where it was just shoulder to shoulder people all day long, you can see from the photo below that even during peak hours there’s still room to move around now. 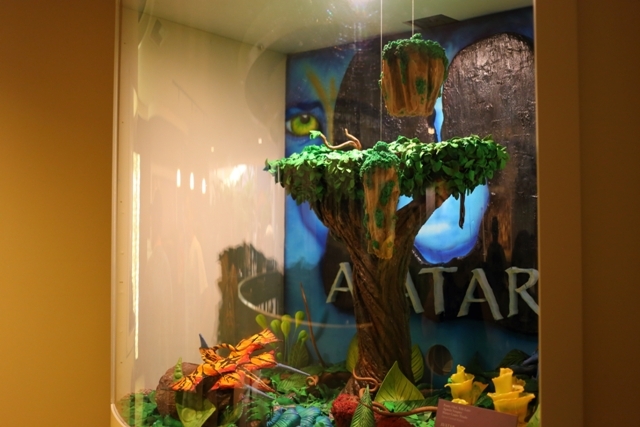 There are also lots of details and they’ve rounded up some hard to find items. If you have some extra time take a look around the shop, not just at the merchandise. 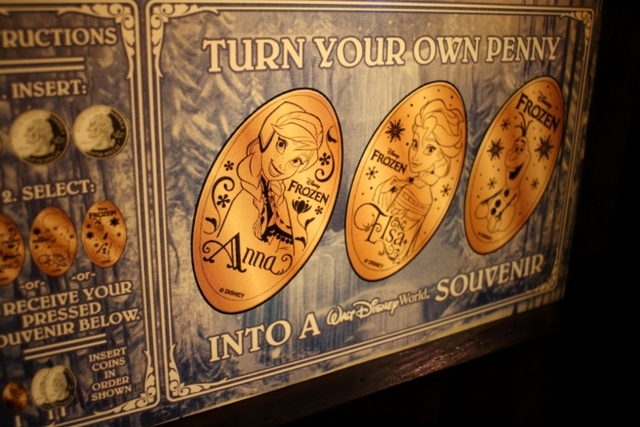 Plus there’s no need to go hunting across parks for the Frozen pressed pennies anymore. They’ve put them into one machine all together here! And then there’s the merchandise. 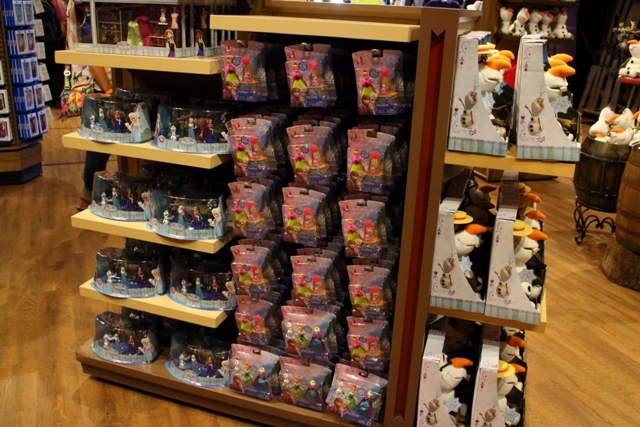 Stacks and stacks of merchandise being restocked by the second. 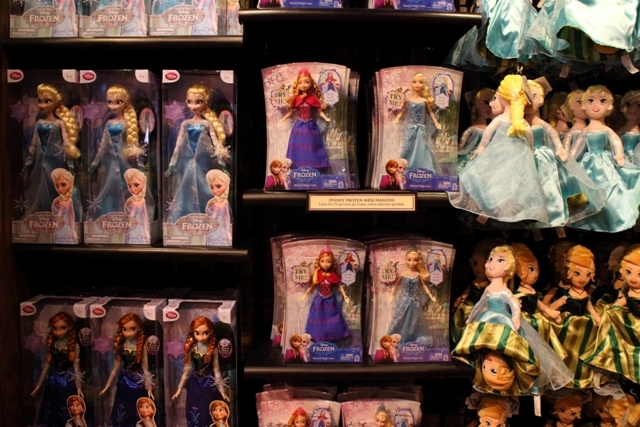 This is the place to go for all your Frozen shopping dreams. There’s isn’t a thing available on property that I didn’t also see in this shop. I could do an entire blog post on all the goodies here! It’s a little girl’s dream! 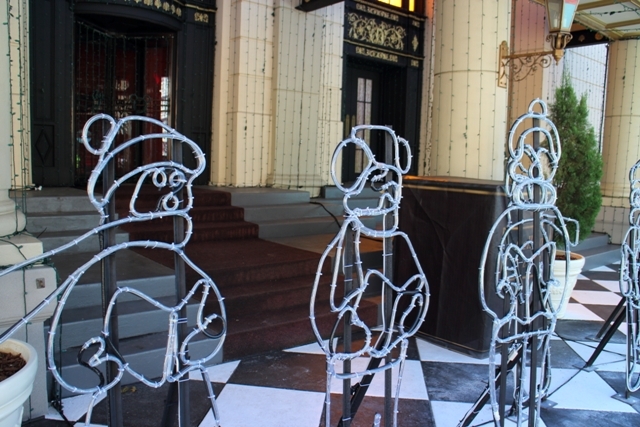 Connected to the gift shop, where the old The American Film Institute Showcase used to live, is the new Frozen Snowground. There is a lot packed into this area and the flow is awful. It doesn’t take many people to make this area feel super crowded. For some reason they’re using the same small doors for the entrance and exit – leading to a mess. I hope they start using the back door soon. Aside from the traffic jam, there’s a photo spot, a snack bar, and an area to play in real snow! Maybe even prettier than the snow is the light show that plays while the clean up in between play sessions. The area was so crowded that I almost gave up, but I’m glad I waited to see it. Seems like there’s lots more they could do with this if they had more room. Closer to the front of the park, Christmas merchandise is being put out on display. On the left you’ll see a new pattern for this year. 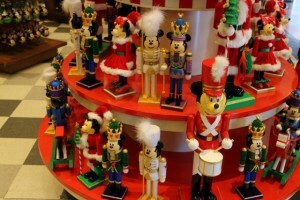 On the right are tons of Mickey nutcrackers. Ironically, I spotted some of the same ones at the outlet this week for half the price! They make for a striking display in the store. On the below left is more of the new pattern. It looks retro and despite the prices I’m a fan. Would anyone like to see more detail on all the new Christmas merchandise? Let me know in the comments below and I’ll get another blog out for you guys! 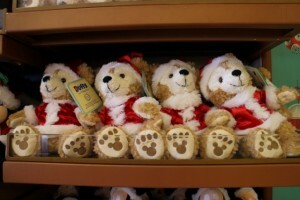 On the right is the new, Christmas Duffy. He’s about nine inches tall and a bargain at $20. Hopping over to the Magic Kingdom, it was surprisingly uncrowded on Saturday night! The park was open until midnight and we had an amazing night of riding rides! It might have just seemed like it wasn’t as crowded because “backstage” walkways were open to alleviate the situation. If that’s true I can’t wait for the hub expansion to be completed! 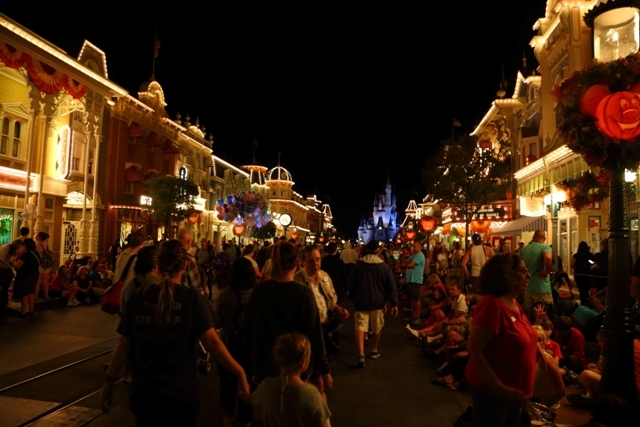 It will make a tremendous difference when everyone in the park doesn’t have to enter and exit on Main Street. 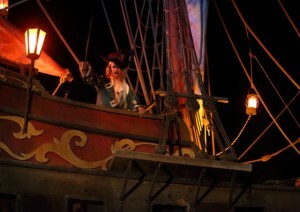 Over at Pirates of the Caribbean we found a 20 minute wait and were glad we had a FastPass+ reservation. This ride is an example of one that has suffered from the new system. 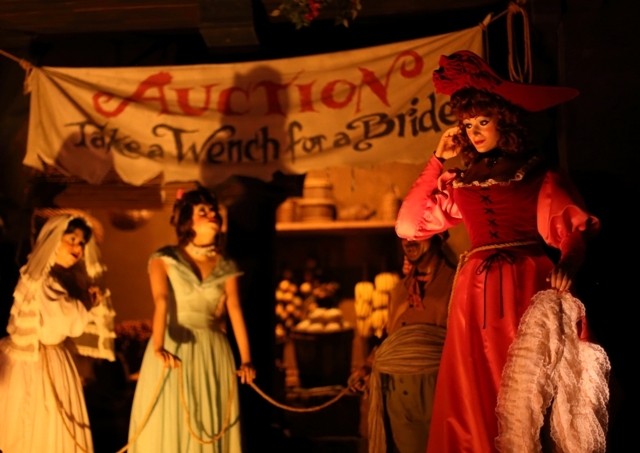 Pirates used to never have a line, but with FastPass+ the wait has been stretching up to 45 minutes lately! On my last three trips we’ve skipped it because we didn’t want to wait so I was sure to book it this time! Since I missed it, I thought I’d include a couple photos for you! 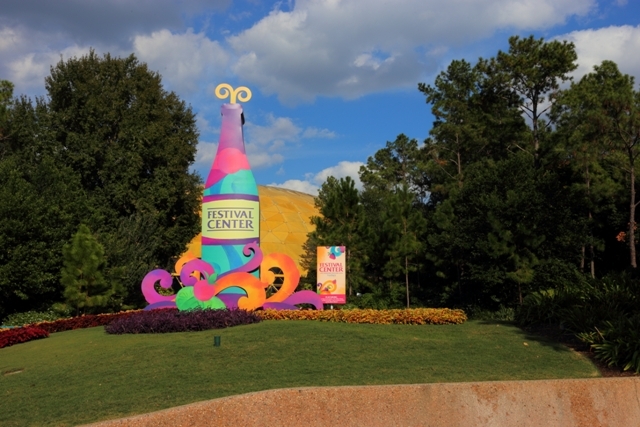 Our last stop for this week is Epcot for the Food and Wine Festival. My first order of business was to check out the Festival Center. I had it in my mind that it wasn’t open much past dinner time, but it actually is open until park closing! It’s worth walking through just to see the building that is normally off limits to park guests. Inside you’ll mostly find shopping and seating areas for paid seminars. We haven’t forked out the cash for one of these seminars yet and I don’t know that we will. From walking by they seem a little boring! 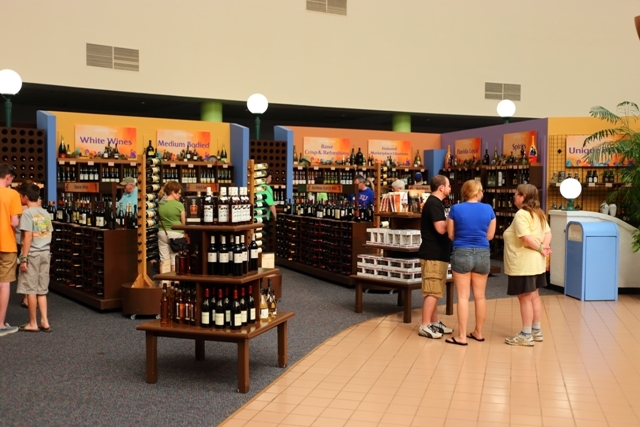 In the shopping areas you’ll find wine and festival exclusive merchandise. I noticed the Dooney and Bourke bags were in stock too! Another reason to stop by is to pick up your Ghirardelli chocolate square! There are some interesting chocolate displays and some bags available for purchase, but I think we’re all stopping by for the free chocolate! They’re also handing out coupons for the Downtown Disney location so don’t miss out on that! 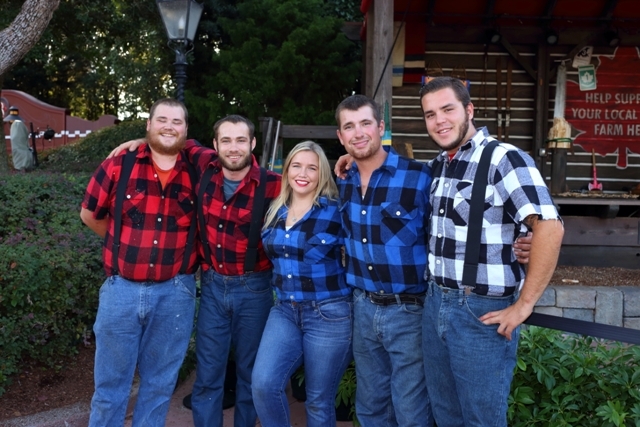 Heading back to World Showcase we stopped by to checkout the lumberjack show in Canada. This show lasted exactly 10 minutes and I was thinking that it was fairly skippable until I saw my hubby’s face. He just loved it and wished we’d gotten there earlier in the day so we could watch it again. Looking around the crowd lots of little boys were jumping up and down and the performers were so nice after the show. I think we’ll be seeing this many times! The concept is that the red and blue teams compete in different logging competitions. Below is an example of one of the tasks. There were four rounds in the show before declaring a winner. I also stopped by the former site of Maelstrom and it was just pitiful! I’m sure this will be incredible when it reopens, but for now it’s just sad and empty. 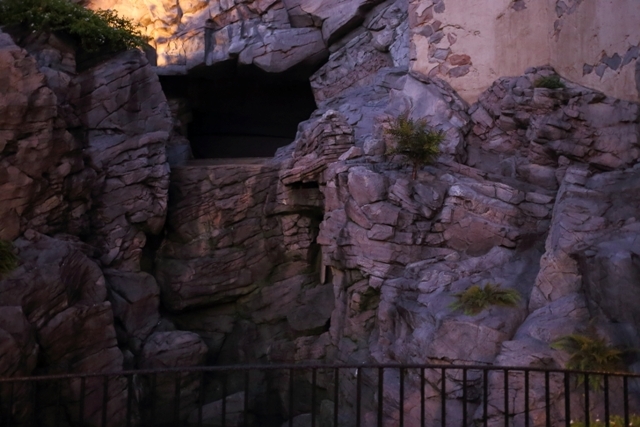 Even the fountain was off where it used to be flowing from the ride. 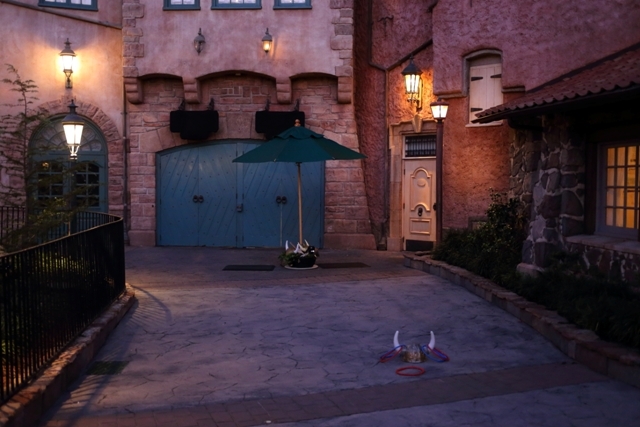 I wish they’d do a little something more with this area during the transition. It just feels like Norway is out of business! While we were there we also saw a Night Ranger concert. They were full of energy and put on a great show but we left early just because they were so darn loud. (When did we become these people? And get off my lawn!) They did play a recording before the show asking to not take video but I was a rebel and took just one minute to share with you. On the way out I noticed a couple of art pieces for the festival. 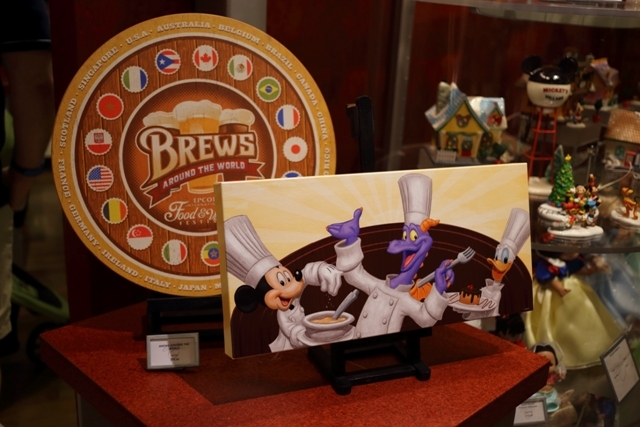 The beer sign was $75 and the figment painting was $150. Not too bad when you look at some of the other art prices! All the Christmas goodies have also found their way into the glass cases. 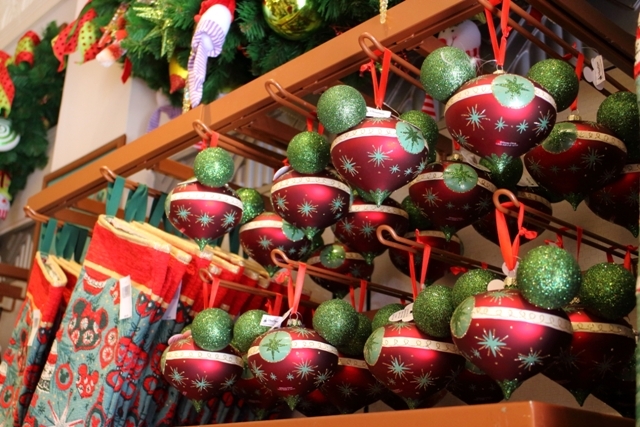 Again, let me know in the comments if you’d like to see a Christmas merchandise blog! Though it didn’t really “fit” anywhere I had to include this incredible sunset photo from Sunday night! The temperatures and summer rains have finally mellowed out leaving nothing but clear skies and pink sunsets. It’s the best time of the year! Weather: Very little rain and very mild temperatures make this almost the most perfect time of year. Except for the absolute heat of the day the weather couldn’t be better! Remember: If you’re in the market for Dooney & Bourke handbags the Haunted Mansion and Food & Wine festival designs are popping up in the parks. They’re both very limited so act fast when you see them. 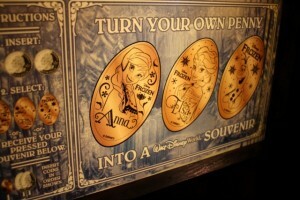 Here’s my top tip for this week: Memento Mori is still drawing lines at the Magic Kingdom! If you’d like to shop there be sure to give yourself some extra time. 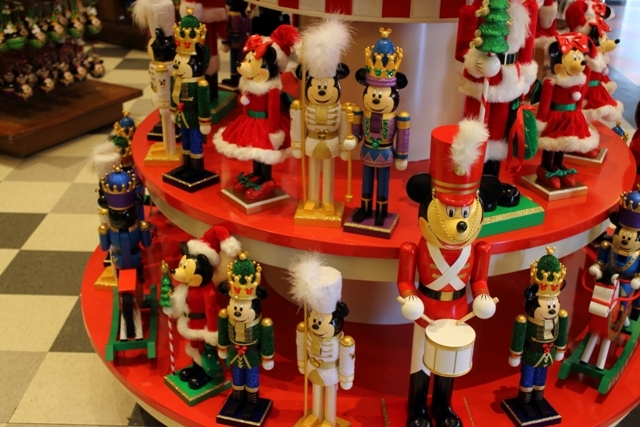 I would love to see a Christmas Merchandise blog! We will be there November 9th! Would love to see a Christmas Merch blog as well, we will be there 12/5! 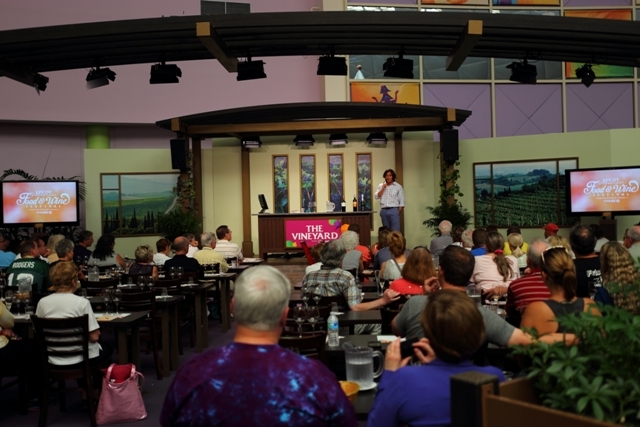 I highly recommend the Food and Wine seminars; we ended up spending a huge amount of time there last year and will look forward to doing it again next year. Pam Brandon, the host, is fun and engaging. The chefs are very talented so if you like to cook its a great place to pick up tips. And of course each session comes with a nice glass of wine and something to eat. And the mixology / wine tasting sessions are just fabulous. We’re back for Christmas this year instead of food and wine, but we’re counting down the days until next year when we can get our foodie fix! 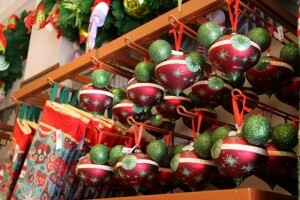 I’d also love to see a blog spotlighting the Christmas merchandise. We’re leaving in about two weeks and it would be excellent to have an idea of what I should be on the look out for! 🙂 And thanks for doing these Best Week Ever blogs, I love them! Hey Chelsey – Thanks for the feedback. I’ll be doing that blog soon! I’m so glad you like Best Week Ever – thanks for reading and commenting!! as we are headed down in December! Hi Stephanie – thanks for the kind words. I really appreciate it! 🙂 I’m all over the Christmas merch blog. Thanks for the feedback! 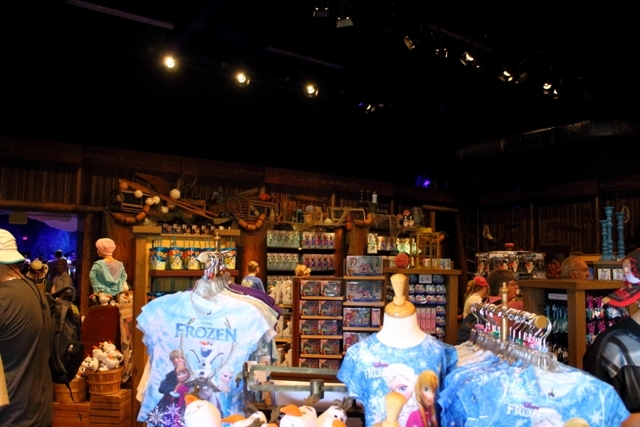 Did you notice of the singing Anna & Elsa dolls were available in Oaken’s Trading Post? I was at Oaken’s on October 16th and they had both dolls that sing when you hold their hands and one that was motion activated too. They had a great selection of all things Frozen. Hey Mel – ok, I totally agree. If someone was there yelling directions I would have hated that. But the way he was doing was easy to ignore but helpful for guests that needed it. I was really impressed. 🙂 I’m sorry he was a bummer the night you were there. Thanks for saying you like these! It always makes my day! Love your posts Daisy! 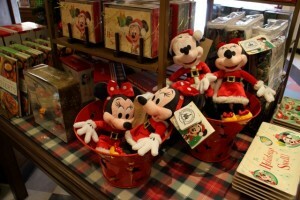 I would also love to see a Christmas merchandise blog. The MK castmember was just amazing! A star is born! 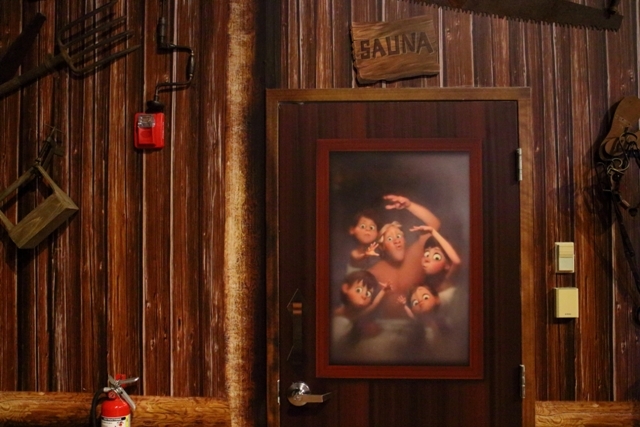 Just wondering if the Frozen Sing-along as moved into American Idol yet? Our Disney trip is about 37 days away and wondering if I should bother with a FP+ or not. Hi Dee – I’m responding to everything on one. 🙂 Thank you for your kind words! It’s so nice to know people enjoy this stuff. 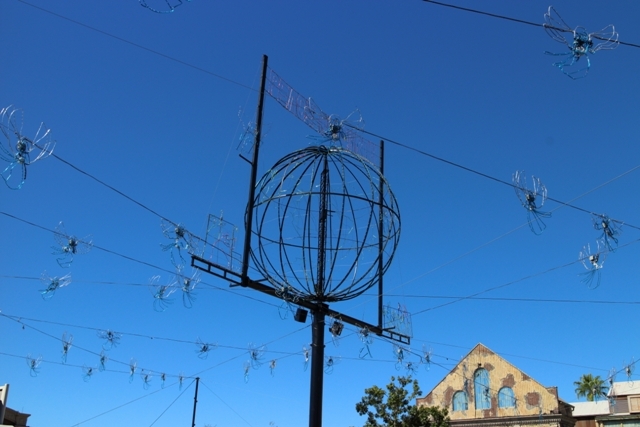 I’m all over an Xmas blog. Look for it next week. 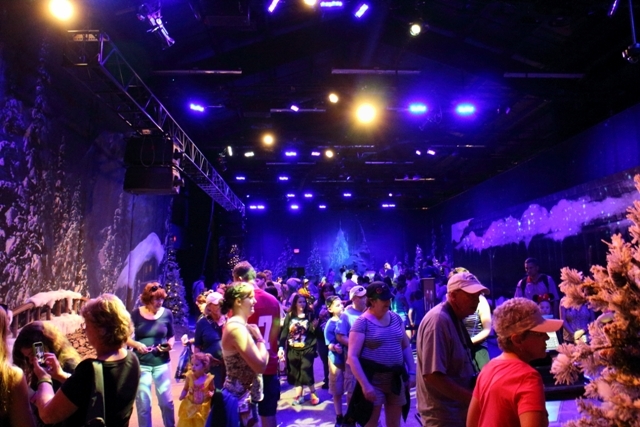 Frozen sing-a-long hasn’t moved, and I’m starting to think it won’t. I would recommend FP+ for it. Christmas merch blog please. 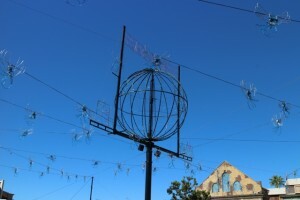 I’m going soon, and I’m in the market for some Disney Christmas flair for my new place. Great post, by the way! I love this series. I’d love to see a blog post on the Christmas items! Hi Lee – yep.. I was watching through an LCD screen when it hit me that an axe was swinging right at me. I’m trying to not be freaked out about that but it does seems like an accident waiting to happen, right? Eek! Thanks for the compliment. I’m so glad you like it! 🙂 I’m all over the Christmas post, look for it next week. 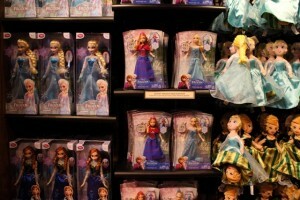 Yes please to a frozen merch & Christmas blog,! Great post! I think that CM directing people at the fireworks must have been a former drum major. I am excited about the snow play area. We’ll be at WDW over Christmas. Gotta have some snow at Christmas or it just isn’t Christmas to me. I wasn’t expecting Orlando to be this hot during the day. 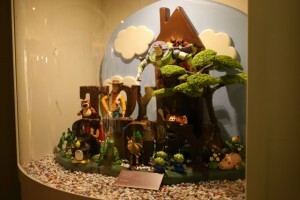 On my second Magic Kingdom day I had to go back to the hotel to relax a bit to go back later for Wishes. I’m glad the touring plan let me see and do everything I wanted by the early afternoon. I had a wonderful time at Disney World, but now it’s time to enjoy Universal Studios and Seaworld parks! At Disney, two things that disappointed me a little were Epcot and Fantasmic. They weren’t bad, but I was expecting more of them. 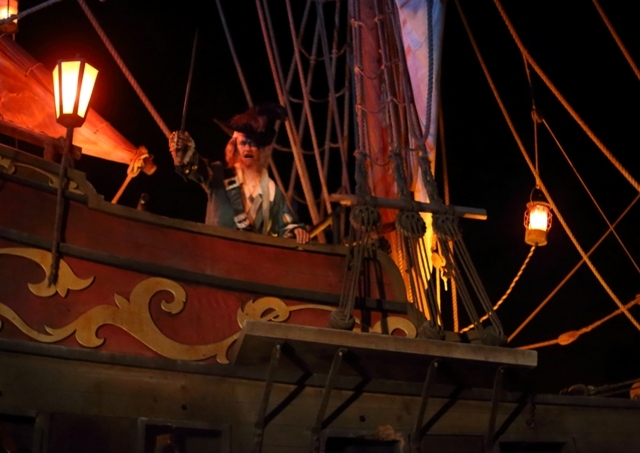 Epcot was my least favorite park and Fantasmic (which I paid for the Fantasmic Dining Package) was the least interesting night show. Oh Daisy, you made my day with that super special and amazing Cast Member during the Wishes Firework! I’ve never seen anything like that before! That guy was fantastic! Sadly I don’t like the new “Lumberjack show”! 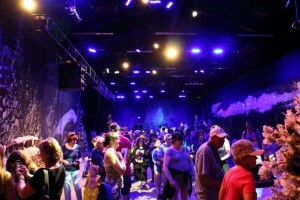 I want my lovely “Off Kilter” back and I’m very, very sad about all those many and quick changes at WDW!